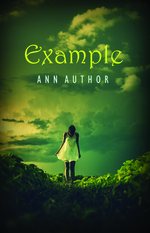 Services for self-publishing writers including cover design, typesetting and editing. We think the best way to learn about publishing is to have a go at it yourself and we offer heaps of free, professional advice on all stages of the publishing process over in our advice hub. If you feel like you need a little help, advice or a nudge in the right direction, then the friendly team at CompletelyNovel are here to help. 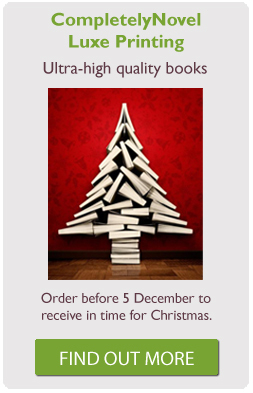 CompletelyNovel specialises in helping writers create high-quality print books easily, and at low-cost. Just upload a manuscript, design a cover using our simple book cover creator, and choose your price, and you are good to go. We link your book directly to high-quality print-on-demand printers and can list your book with booksellers worldwide, including Amazon. What’s more, you also get to keep 100% of the book royalties. Find out more about how to self-publish with CompletelyNovel. CompletelyNovel offers authors access to a free PDF converter, so you don’t need to convert your Word Document (or similar) to a print-ready file yourself. However, there are certain requirements that need to be fulfilled in order for your book to be compatible with printer specifications. At the very minimum, you will need to make sure that your page size and margins are correct. We give full details of how to make these changes within the manuscript upload page of the CompletelyNovel Book Creator. However, if you find that you would like some extra help with formatting your manuscript, we are here to help. We will then upload your manuscript to your book project on your behalf. You can download our free guide to typesetting for full instructions on how to make your book look as good as it reads, or, if you would like some extra help with the layout of the interior of your book, the CompletelyNovel team are happy to help. Most manuscripts take one or two hours to typeset – depending on the amount of changes that need to be made. We will let you know your estimated time once we’ve viewed your document. If there are a couple of elements that you would like help with, let us know in your email and we can focus on these elements only. If you would like to take advantage of one of our formatting or typesetting offers, please fill in in the form below. We are pleased to offer a bespoke cover design service for our authors, covering all the essentials, for the low price of £175/$259. A member of our professional team will take your book details and brief, and create an on-trend cover for your print book using creative commons images. This service is perfect for authors who want to benefit from our knowledge of the current book market, or who aren’t sure of the best route to take with their cover design, and need a helping hand from a trustworthy source. Please note that all further changes will be charged at £35/$55 per hour. Any ideas you have for your design, including colours, other book covers you like and any images you have found that are along the lines of what you might like. Use the contact form below, or email us at team@completelynovel.com. 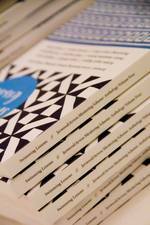 If you’d like to create a lasting showcase for some great writing, CompletelyNovel specialises in creating high-quality print books and has worked with organisations such as Arvon, London Metropolitan University and National Flash Fiction Day to create anthologies that suited their needs. We can help you proofread, typeset, prepare files, print and publish your book, including if you’re on a tight budget. 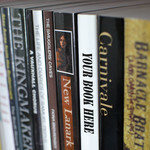 Find out more about our anthology creation and printing services. If you are interested in one of our services for writers, please fill in the form below with details of which service you are interested in (remember to include all the relevant information we request in that section) and we will get back to you shortly. Our team will endeavour to respond as soon as possible but please allow three days for a response. If you’d like CompletelyNovel to come and chat about self-publishing to your writing course, writing group or at a book event that you are organising, just let us know. We’re happy to help wherever we can! Email info@completelynovel.com with your request. Please remember to include information about where and when the event is taking place, as well an idea about how many people you expect to attend (if possible).